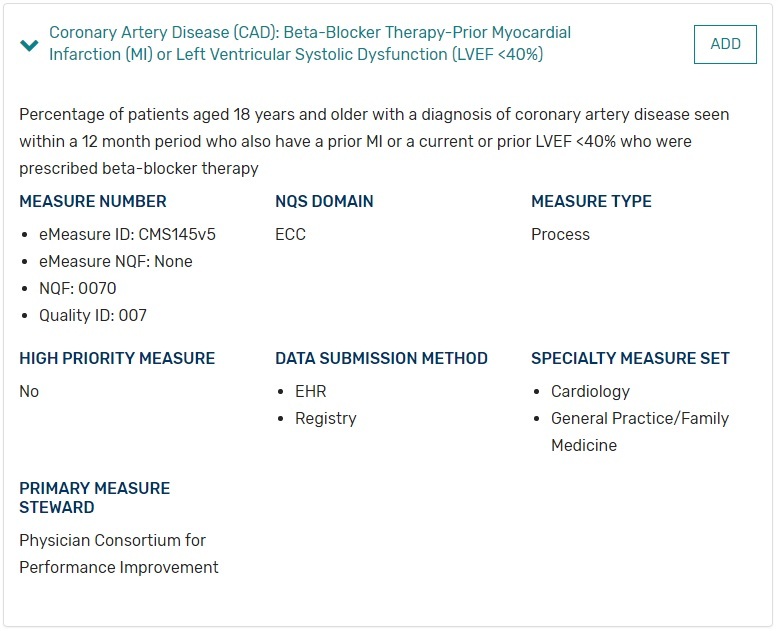 Record appropriate CAD and prior Myocardial Infarction ICD-10 Diagnosis codes in the Problem List. Record any medications prescribed for the patient in the Medication List. If ePrescribed these will added automatically.